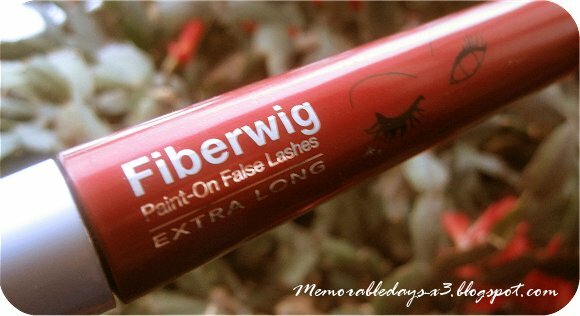 Imju Dejavu Fiberwig Mascara review | Memorable Days : Beauty Blog - Korean Beauty, European, American Product Reviews. Dejavu Fiberwig; Paint-on False Lashes Extra Long - You've probably heard about this product before. Fiberwig is the top selling mascara in Japan. It's from the brand Imju. I was curious if this really worked, I had read many reviews about it. There were many positive reviews but many negative reviews about this product as well, so I didn't know whom to believe. Does it work or not? So I asked my sis if she could buy this for me while she was in Hong Kong and she could easily find it in Sasa stores there ^.^ YAY! There are small fibers on the brush as you can see on the picture. When you put this mascara on, the fibers will stick on to your eyelashes and this should create the false lashes effect. "ahum, NOT REALLY!" You can order this product at Sasa.com, Ebay and Sephora. It's around USD $15.30 at Sasa.com and around USD $24 at Sephora. It's quite expensive for a mascara, but I heard that it's less expensive on Ebay, so it's better to check it out on Ebay first before you buy it elsewhere. What does it promise? I will put a check mark (✔) if it does what it promise and a (✘) if it doesn't. [✘] Better adherence of fiber to your lashes. [✔] It won't smudge, it instantly transforms into adhering firm to resist sebum, cold water and sweat. [✔] Convenient removal: It can be easily removed with warm water. No damage to lashes. [✔] It assembles perfectly once you brush it on. [✔] It's a light and smooth mascara and it doesn't cake, it results in a natural-looking makeup finish. I have been using this mascara for 2 months now and I actually like it since day 1 :) It's hard for me to find a good mascara because of my oily lids/skin and I'm allergic to some mascara's, but not to this one. Have you used this product before? Or would you like to try it?